A recent inspection by Her Majesty’s Inspectorate of Prisons of HMP Wormwood Scrubs has resulted in reports in the national press about the atrocious conditions there. However, after looking at what has actually been written about these conditions, it became clear that Scrubs is not an exception, but an example. An example of what prisons up and down the country are like. Inspectors found that Wormwood Scrubs is overcrowded. But it isn’t news to anyone that the entire prison system is overcrowded. 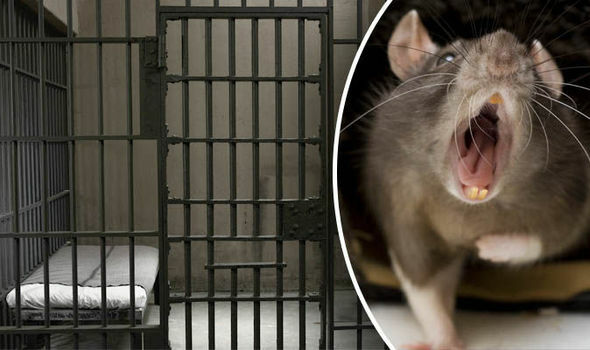 They said that the prison was rat-infested. But out of the six prisons where I’ve personally spent significant periods of time, every one of them has hosted vermin of one kind or another. Some prisoners at Wormwood Scrubs spend more than 22 hours a day in their cell. This isn’t typical of all prisons per se, but it is certainly typical of all local prisons. Cells include an unscreened toilet. As they do at the majority of prisons I have been to. Meals are unappetising. What’s new? Some prisoners had to stuff the edges of windows with newspaper to keep out the weather. Something I have done at every single prison I have been to. In fact, at one prison (HMP Swinfen Hall) one of the cells I was placed in had no glass (or perspex) in the window frames at all. At Scrubs clean clothing is hard to get hold of. I’ve been battling to get hold of a pair of jeans that fit for over a year here at Wakefield. Some prisoners there are frightened to leave their cells, in fear of attack. And I have known such prisoners at every single prison I’ve ever been to. In fact, there is not one criticism of Scrubs which can’t also be levelled either at the prison system as a whole or at least at a large number of British prisons. I believe every comment you make is valid. It is hard for me to imagine conditions in UK Prisons in the 21st century even after reading your enlightening blog. Hopefully, my imagination is where my experience remains! It is obvious that the underlying conditions in the Victorian fortress prisons have not changed and, I guess, have probably become far worse. Not all of this is down to Government cuts but, surely, more investment would do no harm. In UK there is very little investment in infrastructure and what little there is, is often wasted. German and French nationalised Railways own a lot of our rail network. They receive large subsidies and any profit is exported to improve their already excellent nationalised transport infrastructure. Would you say that the UK Prison Estate is part of the infrastructure? By the way, my leg is improved enough to seriously train again. Over 100% in the pool and about 70% in the gym. Walking is still an effort but I can do about 7 miles but running is a long way off. Not bad for an old man. Hubris! Thanks for your kind words after my return, I really appreciated them. Take care. PS My new word for today is: Steganography. I’m struggling to find the steganography in your comment. Thought I was on to something for a second, but no. I do think prisons are part of the state infrastructure since the justice system is dependent upon them. In many ways prison conditions have actually got better, but yes, in others it has got far worse. I believe this is a direct result of bad management. In prison departmental targets are often unmeetable on the budget available. The choice is whether to meet the targets and overspend/run out of money, or to ignore the targets and operate within budget. Invariably it is the latter option which is adopted within prisons, but sometimes being a good manager means having the courage to meet targets, run out of money, and then, when asked why, to show the accounts demonstrating that the current targets are impossible to meet on the current budget. This is the only way that spending on infrastructure ever increases.